Took this photo June 5 2008. Little bits of styrofoam everywhere from the moulding activity. Pool cleaners working overtime to keep up. Did a fantastic job. Very little each morning anywhere. You'll have to post a report about your trip to Aruba. Always great to hear from a first time Aruba goer from their point of view. I don't get to go until next year in May, but sure love getting to read everyones reports, seeing what places they went to and enjoyed the most or didn't. And love getting to see the pictures they share. Hope you will write us a report and share! Unfortunately the camera I used takes very high resolution pictures. This results in them all being 6-10mb and I had to resize the one I attached. I'm looking for a program that will reduce the resolution of the pictures without having to load all 500+ of them and do them individually. If I manage that I will post some pics. Get 6-8 people to cough up $50 each and take a 4 hour cruise on the Morning Star. Unbelievable. All Food, Drink, and 2 stops for snorkling and swimming. They even sent a shuttle taxi right to the beach in front of the divi phoenix to bring us out to the sailboat. I totally agree with your choice of the Morning Star. We have chartered her on several occassions including the Dinner Cruise and Marcino and Kat have always been the best hosts. We always have the best time with them. 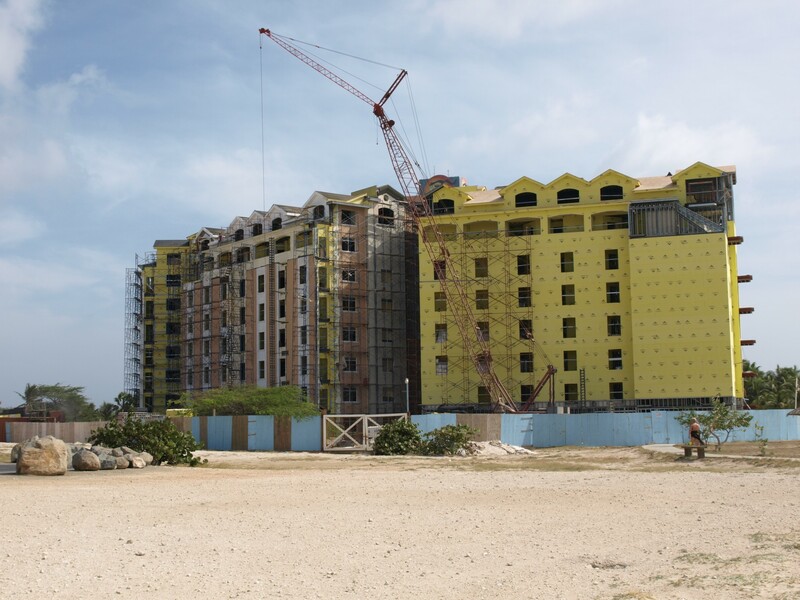 Thanks for posting this picture; I am pleading with anyone going to Aruba in the next couple of months -- PLEASE take any photos you can of the new construction at the Aruba Phoenix. We bought there, and our 1st week to use it is in January 2009, so we've been trying desparately to get any photos or info on the construction status of the new buildings. We'll be in Aruba in Sept. If we're over on Palm Beach (and we should be because I know we'll go to the Bugaloe a couple of times), I'll snap a few photos for you. ...I'm looking for a program that will reduce the resolution of the pictures without having to load all 500+ of them and do them individually.